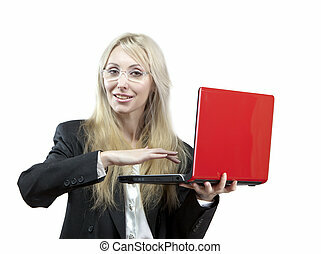 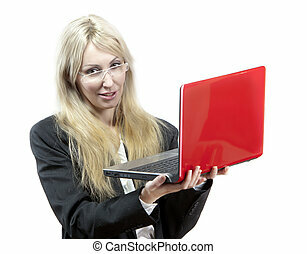 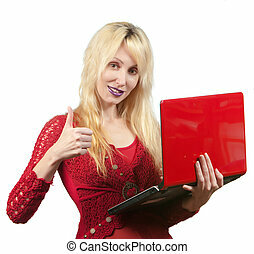 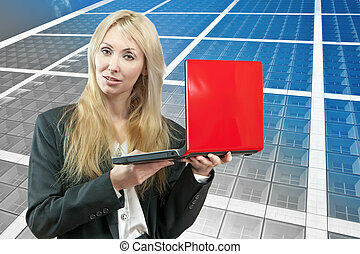 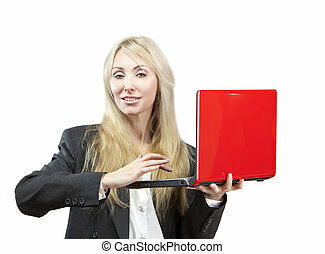 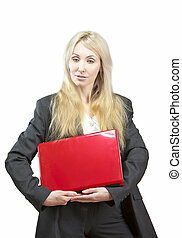 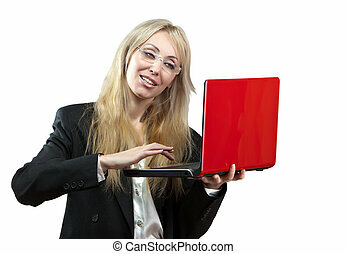 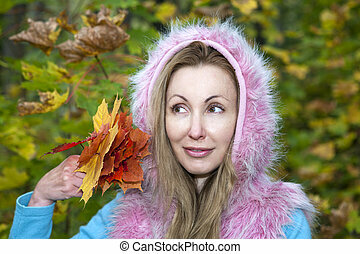 The smiling business woman with the red laptop. 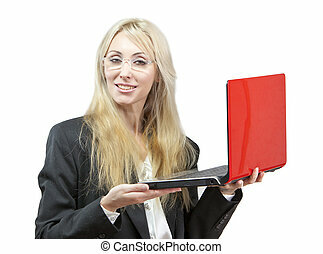 The woman with orange juice and laptop. 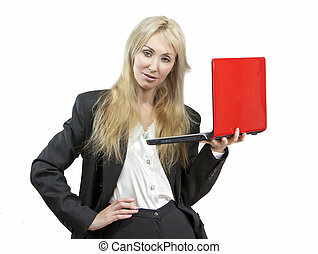 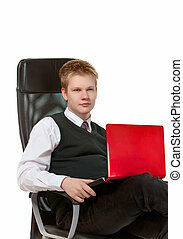 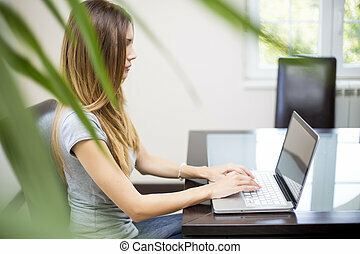 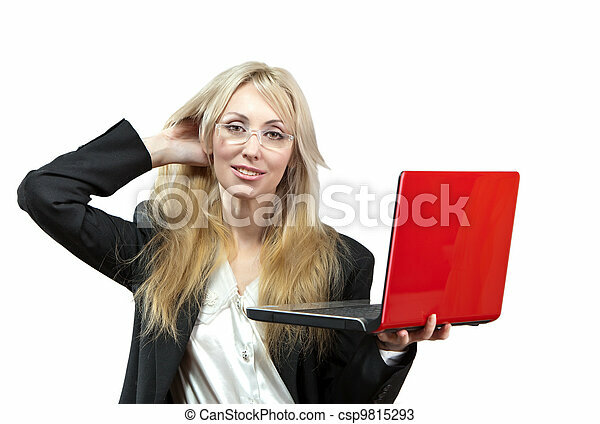 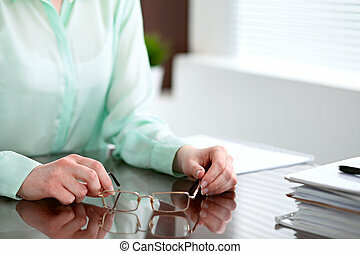 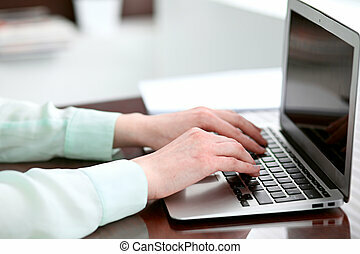 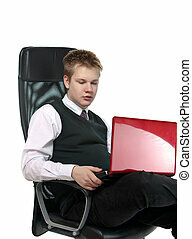 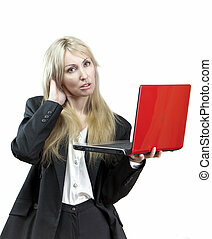 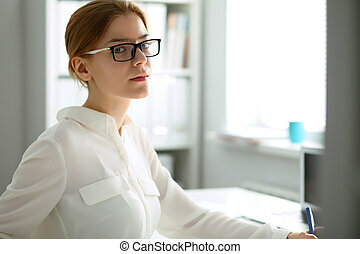 Business woman with laptop in the office.